My Most Anticipated Books of 2018: How Did They Measure Up? Every year when the “Books to Read this Year” lists come out, I end up with a massive pile to add to my TBR. There’s always a handful though that really stand out. These are the pre-order-and stalk-the-author-level anticipated books I was waiting for last year. They’re not necessarily my favourites–there were a few disappointments, and a lot of brilliant books I’d either not heard of early on, or which really surprised me–but since these were the ones I was most excited for and the ones I thought I’d love the most, I thought these were worth a quick revisit. Have I read it? Yes. When did I read it? The 1st-2nd January. Probably in two sittings? It was really quick. Which format did I read it in? eARC on my Kindle. Link to my full review. 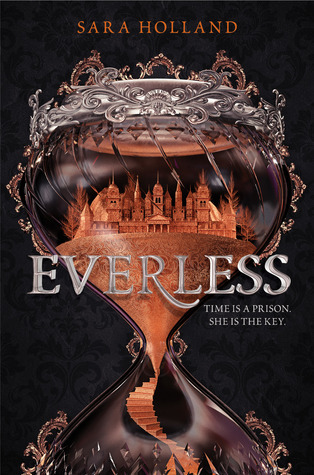 Snippets from my review: Everless was my first read of 2018, and I couldn’t have chosen a better book. The premise is really cool and the plot just gets better and better as the story goes on… The atmosphere was great, particularly once Jules settled into Everless itself — at times I got a real Jane Eyre/mysterious house full of secrets–vibes while she was sneaking around. When did I read it? Jan 3rd-6th. Another really quick read. I read the first part (the “real world”) super fast, then dawdled a little towards the ending. Which format did I read it in? I got a physical ARC in a trade. 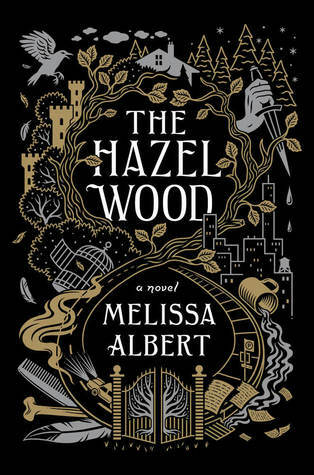 Snippets from my review: The atmosphere Albert has managed to weave into The Hazel Wood is brilliantly creepy, especially the part set in ‘our’ New York. There’s a wonderful sense of twisting shadows and things moving at the corner of your eye. It’s the perfect read for curling up with under a blanket on a cold night. For me, this atmosphere is The Hazel Wood‘s biggest strength. Have I read it? It took me a while to get around to it, but yes! When did I read it? Although I pre-ordered a copy, it took me until September to get around to it. Which format did I read it in? I did a combination of listening to the audiobook and reading the hardback. 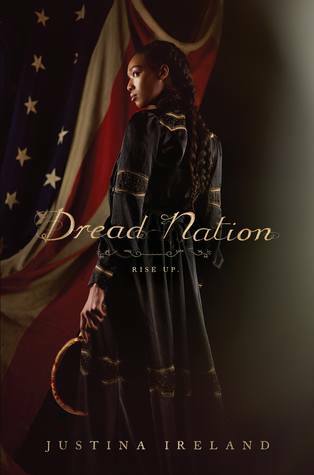 Snippets from my review: I thought Jane was brave, clever, and had just that hint of ruthlessness that I really admire in a character. I also loved Kate, who was snarky and more idealistic, and added a comedic counterpoint. 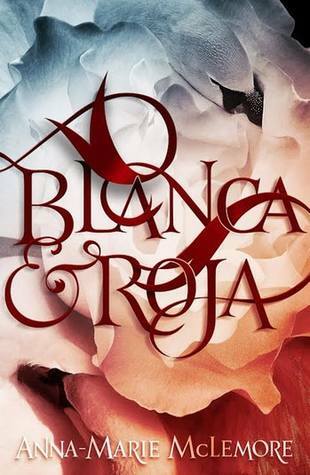 I enjoyed watching the girls bicker, and their friendship develop over the course of the novel. Jackson was a little bit of a miss for me. Have I read it? Yup. When did I read it? While I was on holiday in April. I read a lot of it in the car. Which format did I read it in? I listened to the audiobook, which was a brilliant production, full of music and energy. 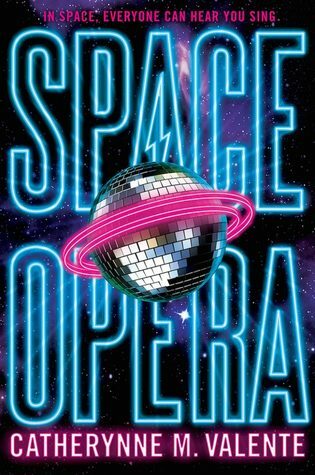 Snippets from my review: If you want to immerse yourself in a whole galaxy of spinning disco lights, coated in a layer of purple glitter, while you and watch the Eurovision as performed by some of the most ‘alienish’ aliens you’ll ever read, then give Space Opera a go. When did I read it? June. It took a while for my copy to arrive, but I got around to it pretty soon once it did. Which format did I read it in? I’ve got a paperback copy. I really wanted the purple hardback, but I couldn’t get that design or format in the UK. Snippets from my review: I love how creative Donne’s idea is. 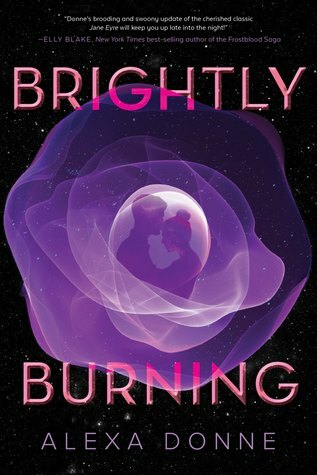 Setting Jane Eyre in space surprisingly really, really works. Family dynasties and the feeling of Victorian England translate really well into the rich-poor dynamic onboard these last remaining spaceships as people struggle for limited resources… There were a few bits and pieces that didn’t really make sense to me, not quite plot holes, but just little niggles and I didn’t quite feel that same draw to Hugo as Rochester (he’s just a little too immature to pull off the broody attitudes as well) but overall it’s a fresh take on a classic. Have I read it? Not yet: this is the only book out of the ten which I haven’t. I pre-ordered a copy and it’s still sitting on my bookshelf. Which format did I read it in? I haven’t read mine, but I own the hardback. When did I read it? During November, as part of my Mythothon readathon. Which format did I read it in? I switched back-and-forth between audiobook and hardback. My Rating: I said ★★★ at the time, but I’d probably drop a half off that, looking back. I didn’t write a review, but I really loved the first part, liked the part in the Arctic okay, and really, really struggled in the third act. When did I read it? In November. Which format did I read it in? Audiobook. My Rating: I ended up DNFing this one at 50%. I really, really tried. And the strange thing is that I really loved some of the things McLemore was doing with the book–the sisters’ relationship, the distrust, the frank and honest look at periods and cramps–but I just wasn’t enjoying the story. It was a chore to go back to it and I listened to it on-and-off for weeks. I was disappointed since I loved (four-and-a-half stars) When the Moon Was Ours, but I’m still looking forward to picking up my copy of Wild Beauty. When did I read it? Again, during November, as part of my Mythothon readathon. Which format did I read it in? I pre-ordered a copy, then got approved for an eARC. It sat on my Kindle until after my book arrived because I was so nervous about being let down. I ended up reading the digital copy while I was on vacation. 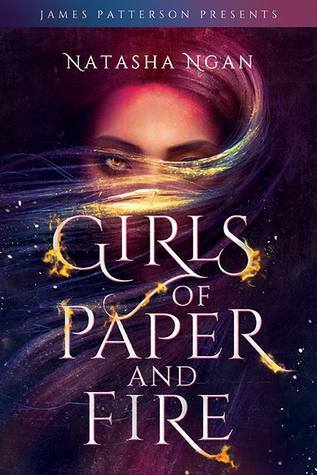 Snippets from my review: It’s been a month since I’ve read Girls of Paper and Fire and I’ve upped and downed my rating for it about a dozen times. 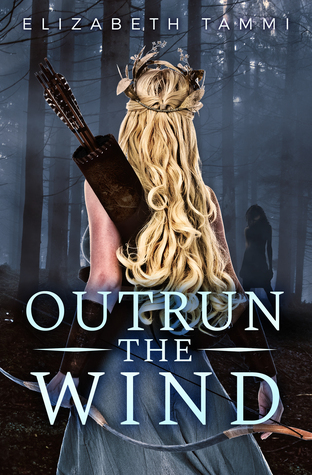 Overall, I really enjoyed the book and I’m tempted to 5-star it but there were a couple of things that just niggled at me and it’s gradually crept down to a four. 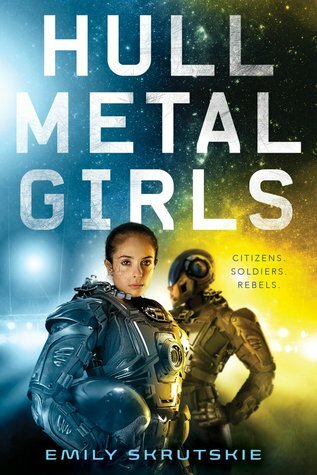 I think part of the problem is that this was one of my top five most anticipated books of 2018, and I maybe just didn’t get the suckerpunch love I was expecting and hoping for. When did I read it? August. Which format did I read it in? I had an eARC. Snippets from my review: Kahina and Atalanta are both wonderful characters. I liked how strong each girl was, determined not to be forced down a path she didn’t want. They’re both complex and had complicated emotions toward each other. I really liked seeing how the distrust and wariness between them very slowly developed into a solid, dependable friendship and then a romance. 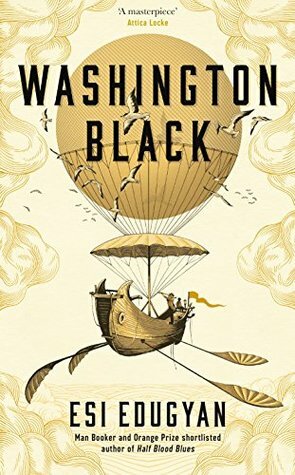 What were your most anticipated books of 2018? Did they live up to your expectations? If you’ve read any of my choices, what did you think of them? This is such a fun idea, I’ve never thought of looking back on my most anticipated lists, this makes me want to look back on mine now. Glad to see that for the most part, the books seemed to live up to your expectations. It was a lot of fun to do! 😊 And fun to look back at books from the beginning of the year. Looks like you made some great picks when you anticipated last year’s reads! I didn’t finish any of these — had to DNF the hardback of Space Opera, maybe the audiobook would have been a better choice for me — but several of them are on my TBR. I was shocked that I’d read so many of them! Usually I completely forget about whatever I’m most excited about. I thought the audiobook was really good. I’m not sure I’s have enjoyed a physical copy as much? Well, I certainly didn’t enjoy the physical copy much, but I can see where having an audio version where they can use music and audio effects would help a lot.